Sean graduated from Curtin University in 2005 and after a few years away, has made his way back to Bunbury where he grew up. 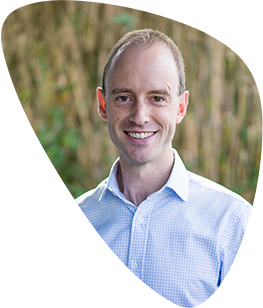 Sean started his physiotherapy career in the public system, initially at Royal Perth Hospital and then overseas at Christchurch Public Hospital in New Zealand. He spent much of this time working with orthopaedic injuries with a particular focus on rehabilitation of the upper limb following all kinds of orthopaedic surgery. On returning to Western Australia, he began working in two private practices, one specialising in treatment of neck and back pain, and the other dedicated solely to treating hand and upper limb injuries. Sean provides a hand and upper limb service here at Koombana Physiotherapy, which extends from thermoplastic splinting all the way through to gym based rehabilitation and strengthening. He also enjoys treating back and neck pain, with a strong focus on manual therapy, dry needling and exercise rehabilitation. Outside of work, Sean is a keen hockey player, as well as a runner and cyclist in the off-season. He has travelled with multiple state hockey teams to national tournaments and has played hockey for longer than he can remember. He has a more recently found passion for distance running, which has given him regular personal experience of running related injuries! During down time, he loves nothing more than time with his wife Christa and their three small monsters George, Annie and Max. Peng’s main interest is pain management, both acute and chronic, using acupuncture/dry needling techniques, physiotherapeutic modalities, craniosacral therapy, Scenar and Enar treatment. He also has a special interest in sporting injuries, having completed a graduate diploma in Sports Physiotherapy in 1983. Throughout his career, he has worked in sports clinics in Perth, been the team physiotherapist to numerous sporting teams including state basketball teams, the Perth Wildcats from 1983-1986 and the Southwest Slammers basketball team for 5 years. He was also WA baseball physio from 1984-1985 and worked as a sports physiotherapist at the 1982 Commonwealth Games in Brisbane. Peng was introduced to myofascial pain by Dr John Whiteside in the late 80’s which resulted in a trip of a lifetime to America to attend a training course with the ‘Guru’ of myofascial pain Dr Janet Travell. He also had the privilege to meet Dr David Simons and spend time with Dr John Hong at his clinics in L.A, along with visiting myofascial pain clinics across America. 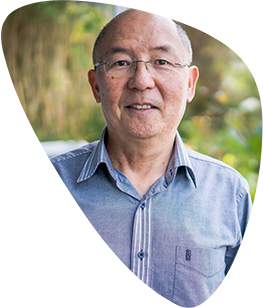 Peng also completed a Diploma in Clinical Acupuncture in 1993 at the Australian Institute of Holistic Medicine. Lynne has a special interest and extensive experience in Women’s/Men’s/Children’s Continence, pelvic floor re-education, vaginismus, vulvodynia and mastitis. Real Time Ultrasound Imaging, therapeutic ultrasound, electromuscular stimulation, neuromodulation and TENS for labour may all form part of patient management. Lynne has 20 years experience in private practice and has also completed her Sports Physiotherapy Postgraduate training in 1985. Her qualifications include Dip Tech Physio, Grad Dip Sports Physio, Grad Cert Physiotherapy (Continence and Women’s Health 2009). Lynne also provides crainosacral therapy for babies to help restore normal position and function of neck and skull bones following difficult births. 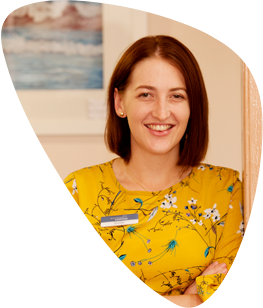 Heather has a particular interest in chronic pain management which has arisen from her experience whilst working in a number of different areas of physiotherapy over many years. 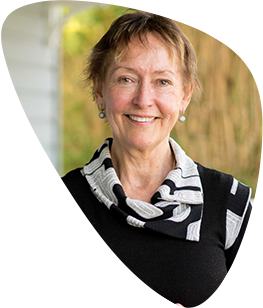 Heather graduated from Curtin University in 1980 and worked in the Kimberley region in W.A for several years, and also in the U.K before returning to work at Royal Perth Hospital, specialising in the physiotherapy management of neurological conditions. In 1988 Heather moved to the Southwest and began her work in private practice. A background in neurology physiotherapy gave Heather a different slant in the treatment of musculoskeletal problems, and an interest in the different techniques available to help treat musculoskeletal pain and dysfunction, particularly deep tissue massage, dry needling and correcting body mechanics and movement patterns. She is a very keen gardener and always very sympathetic to gardening injuries! Heather also likes taking her kayak out on the Collie River or estuary, and she and her husband Rob can frequently be seen walking the tracks along the river, with their retired greyhounds, or rats on stilts, as she recently heard them described! Emillie is an energetic and caring physiotherapist who graduated with her Bachelor of Science in Physiotherapy from Curtin University. With training both the public and private settings, she is eager to help wherever she can, with a particular interest lower back pain and adolescent conditions. She has completed extensive post graduate training in both Clinical Pilates and dry needling, and uses both regularly to help her patients. Emillie is part of our pilates team, and runs both group classes and individual sessions. Emillie grew up in Bunbury and really enjoys life in her local community. Outside of work she loves travelling, playing with her pup and baking up a storm in the kitchen. Her regular cake offerings to the Koombana Physiotherapy reception desk have become legendary! 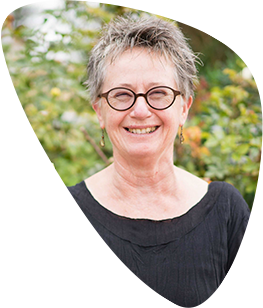 Alison Evans graduated with a BSc (Physiotherapy) in 1994 and spent many years working in the Goldfields gaining significant experience with the mining industry, FIFO, workers compensation and rehabilitation. As a current Les Mills bodystep instructor, Alison has a special interest in exercise fitness and its associated sporting injuries. She has additional training in Pilates, Fitball, and core stability training. Alison loves sport and has been involved with football, waterpolo and netball. As the mother of two young children, Alison is well aware of the pains associated with pregnancy and childbirth, especially pelvic and sacroiliac joint instability and associated buttock/leg pain. Pain relief in these areas is one of Alison’s specialties. Alison uses dry-needling, massage, manipulation/mobilisation and exercise to help you achieve your goals. 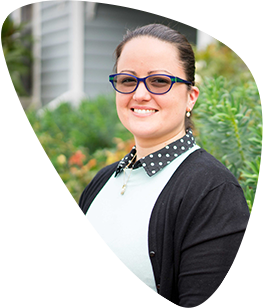 Yvette graduated from Curtin University in 2005 and has worked throughout WA during her career. Yvette has gained experience in the private practice sector, working in Perth and Collie along with Bunbury and has also spent time working in the Public Health Sector in Karratha and surrounding towns. Over time, Yvette has developed a special interest in Clinical Pilates and Dry Needling and has completed extensive Post Graduate training in both of these areas. Yvette has also started to embark on a new journey towards further specialisation in Continence and Women’s Health. Only in the early part of this journey, Yvette is exceeding in her university studies and looks forward to being able to join Lynne Lee in offering an expanded Women’s Health service at Koombana Physiotherapy. Outside of work, Yvette enjoys spending time with her young family, spending time with her dog at the beach and travelling throughout the South West. 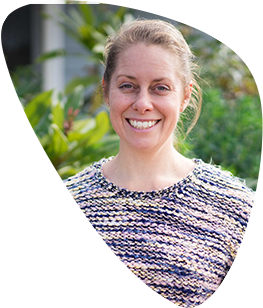 Leah is a caring and compassionate physiotherapist who was born and raised locally, in our beautiful Bunbury WA. She attended Curtin University in Perth, where she graduated with distinction before returning back to her home town to share her skills with her local community. Leah’s typical day at the practice consists of performing “hands-on” physiotherapy treatment such as dry needling, soft tissue techniques, mobilisations and all other kinds of manual therapy. She also spends a lot of her time guiding her patients through exercise rehabilitation programs and running Clinical Pilates classes. She has a passion for clinical pilates, but also enjoys treating a wide variety or different musculoskeletal problems from sport related injuries to lower back and neck pain. What gets Leah out of bed in the morning is being able to help others achieve their goals and get back to loving and living their life to the fullest. Her favourite and most satisfying part of her job is being able to listen and understand someones problem fully, and delivering solutions which are based on what they need as a unique individual. Outside of work, Leah will be usually found somewhere in the great outdoors. She enjoys the beach, four wheel driving, travelling, playing sport, and keeping fit at the gym. She is a self confessed crazy dog lady and loves spoiling her “fur children”. Alice wanted to be a physio from a young age because of her experience with injuries when playing sport. She grew up in Bunbury, and walked past Koombana Physiotherapy daily on her way to school at Bunbury High! 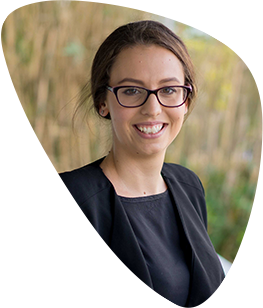 Graduating from Curtin in 2010, Alice has a hands-on approach and enjoys working together with her patients to maximise function and minimise pain. In 2016 Alice completed her certification in Polestar Pilates rehabilitation, which is where her passion really lies. She loves teaching somebody to move again and to enjoy that movement, often after years of pain, injury or just a sedentary lifestyle. She also enjoys the challenge of using Pilates as a fitness tool, and having even the most sceptical of athletes walk away with sore muscles all over! 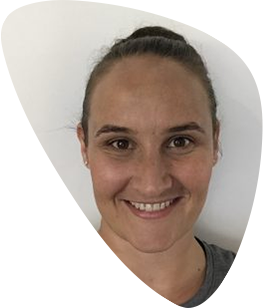 Alice has worked with many South West football and basketball teams over the last eight years, and was the physiotherapist for the touring Australian Country Water Polo team in 2011. In her spare time, Alice still plays water polo and is the president of the local association. She loves spending time with her husband Ryan, their daughter Ruby and french bulldog Hugo, and you will often find them down at the beach, running around the inlet, or indulging in a coffee or two around our great city. Ash was born and raised in the South West on a farm in the rural community of Boyup Brook. Ash graduated with a Bachelor of Physiotherapy from Curtin University before enhancing her reputation with several years of service at a high-quality practice in WA’s south-west – a region the well-travelled professional still regards as the most beautiful in the world. 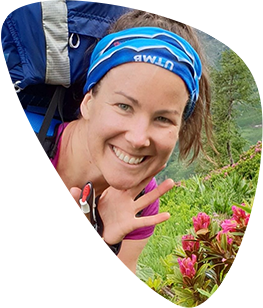 A gregarious and energetic physio, Ash has taken a keen interest in sports injuries, chronic spinal pain and running technique. As well as hands on physiotherapy, dry needling and exercise rehabilitation, Ash also loves the art of pilates as a rehab tool and key to maintaining a balanced lifestyle. Outside of the clinic you will find Ash playing in the South West Netball League or running on a trail somewhere in our beautiful South West followed by a post jog snack at a local brewery.